What I am showing today, is more for being able to hold an easier pose, whilst others hold a more difficult version. It is a learned skill to be able to give instruction in both, simultaneously, and I wish that more new yoga teachers knew that it takes experience. It would take away a lot of teaching stress. What can you do, as a teacher, in the meantime? I learnt how to do it, some years ago. I had heard people criticising a yoga teacher for giving too many variations, according to ability, prior to people actually doing a version of the pose. I know, and this was the critique, that the method that she was using, was wrecking the flow of her class. 1) Sphinx 1: lift up head and shoulders, place elbows on the floor, and cup your jaw with your hands. The elbows can be very wide apart, through to being together. This is very easy to hold at any level. To be honest, you could just do cobra only, without sphinx, using each of these hand positions as beginner through to harder. Do once for each version, with people staying at the level which is best for them. It is really important to know what and why you are teaching a pose in a particular class. Why would you be teaching a cobra, or versions of cobras? as your backbends: a number of cobras, from sphinx 1 as a series of backward bends. This is perfectly feasible. you have noticed that some of the class are getting a bit "stoopy". A cobra, in this case, would be for strengthening the back. In this case, I would be encouraging people to draw their shoulder blades in towards each other, and down. This will create stress on the back muscles. 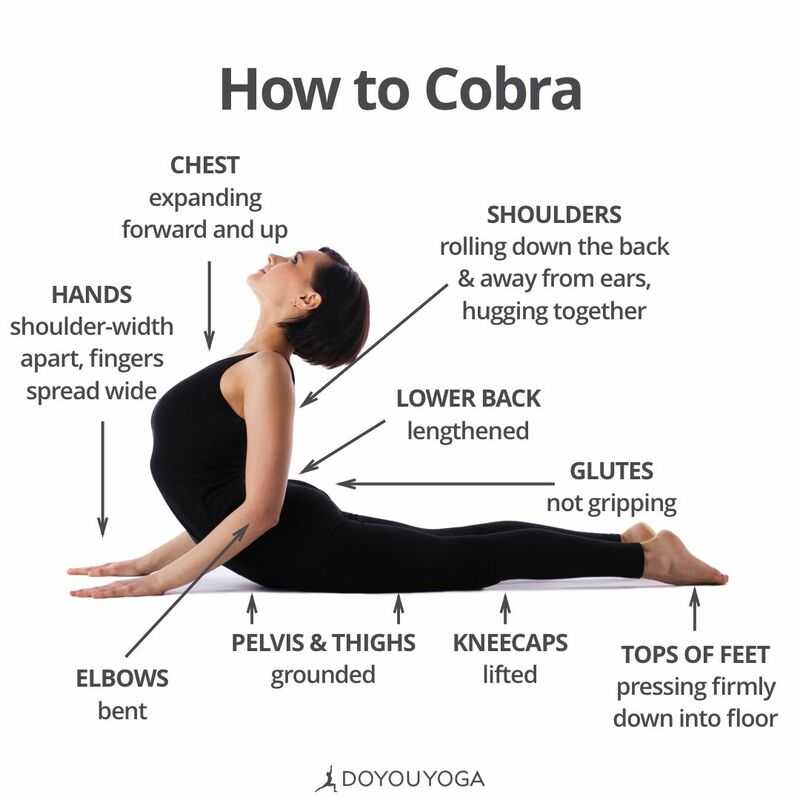 How can I make a cobra more restorative? or a dristhi, or, to put it more simply, a point to gaze at. I find that nosetip gazing is excellent here. other than the sphinx poses above, you can put a small cushion on the floor, just above the top of the hip bone. cushions can also go under the bent elbows, for arm support. feet can be hip width or more apart, rather than having legs touching. This also makes it easier to hold. Where would I put a restorative cobra, in a class? do twists and forward bends after the backbends. You might say that restorative poses must be held for a long time. I disagree. Any posture that we can hold for 5 breaths or more, can be restorative. The trick is in knowing how to teach it. Why do relaxing and restorative yoga? I firmly believe that it is necessary for a yoga teacher to be able to teach in different ways, to suit different needs, at different times. And that being able to teach a relaxing style of yoga, is both a blessing and a necessity. How do we do restorative yoga? spend even more money doing a course specific to this, which you may not want to hear if you are always forking out money to learn even more yoga "stuff"
okay, but how can I do this in a class? cushion: for end of class breathing, relaxation, or meditation. If a student's chin juts up when they are lying on their back, a small cushion or under the head will remedy this. The chin-jutting-up thing creates strain on people's back in leg lifts. Not everyone will need this. straps: if you do a reclining hamstring stretch in class, this is helpful, but not essential. I seldom use them, nor do those stretches. It really is difficult to cart this all around. If you are teaching in a premises, and want to provide them, you may be able to store these somewhere, on the premises. A mat is extra useful, as it can be rolled up at one end, to provide a slight head lift when lying on the back, in poses, and if needed in relaxation, or meditation. So how else can I do restorative yoga? Without props? 3) as a restorative or relaxing class. So, we'll look at all of these, over the coming weeks. What is the Inner Fire? I can actually imagine someone thinking that there is a heart-fire. There is such an amazing warmth which spreads forth through our entire being, from the heart chakra. Actually, it also emanates from the physical heart, too. In both cases, this is Love. It transforms how we are feeling, in the moment. It makes us more of whom we are meant to be. I totally understand that this could be referred to as the heart-fire. I truly do. But, I would not say that there is a fire there. And, I've never "seen" nor experienced, a heart-fire. I would, however, tell you that there is a solitary flame, inside the Heart Space (Hridayakasha). It looks like a still candle flame. 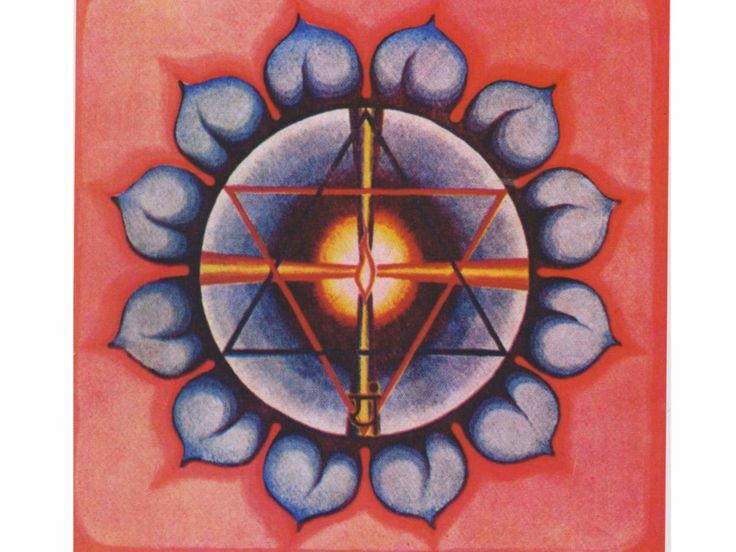 The heart chakra, and the spiritual heart (they are different from each other), both reside in this space. I was told that this flame is the flame of the Soul. And I've never actually bothered to investigate this claim. But, I will tell you that it does bring us closer to our Essence, of the person whom we are who traverses the realms of the heavens and of the earth. It is golden, and completely still. And, whereas fire is hot, this flame is not. But, it does create a warmth. can all be separate. That is how it was, for me. Firstly mooladhara chakra awoke. I didn't really know what it was nor understand what had happened. But I did know that I was never again the same person that I was before the event. Is there a fire there? Um. Yes, there is. That fire has to do with the energy of kundalini. But, and this is important: the chakra can wake up first, long before the fire reveals itself, and even longer before our kundalini energy wakes up. Kundalini, when it is getting ready to move, when it awakes, it roars like a mighty fire. It's deafening. A large square opens, a thundering roar of fire leaps out of the square. It is immense. But still, the energy of kundalini has not yet exploded into being. There is a yellow square in the centre of the base chakra. It holds this fire down, inside, and whilst it does, this square may be like a thick, steel, grey colour. And extremely strong. A person may also experience molten lava flowing, when they are close their eyes. But when that majestic kundalini energy is released: it is like an atomic bomb going off inside of oneself. And it is released as energy, not fire. But there is more to come after that, before Ma Kundalini, the exquisitely beautiful, feminine, white snake, ascends to the crown, inside the head. A big secret: the fire that I have just described, is to do with mooladhara (base) chakra. But it requires the energy of the awakened navel/manipura chakra to release the energy behind the fire; which is kundalini energy. However, there is a fire at manipura; the fire of the sun. And this sun is to do with energy. For, no matter what you have been told, or read, this chakra brings us the knowledge of energy in it's different forms. The fire that we get in our belly, is more to do with our heated emotions. And, there is also, of course, the digestive fire. Neither are the fire of Manipura chakra. In yoga, the elements are called tattwas. There is an experience whereby a space is awakened, and within that particular space is where the tattwas reside. And, of course, there is a fire element. The fire element has nothing to do with any of the strange notions which abound. The tattwas are three dimensional, they are not appearing as being a flat picture, as the chakras do for quite some time. And, this has nothing to do with the Inner Fire, it's something else. However, because the fire element sits starting at hip level up to the armpits, covering the chest, it could be thought to be a fire of the heart. But, I don't believe that is. And what does this all have to do with core activation? Well, when our core is activated, with spiritual energy, it is a totally different situation for having "great abs". In fact, it has nothing to do with the body-beautiful. The energy is from Manipura chakra, and it must be an awakened chakra to have this effect. There is a technique for it, however, I am not at all interested in putting this on the internet. At this stage. But, the first ever, spiritual core activation (I love this - "spiritual core activation" could be one of my "sayings" - or not), I learnt in my first ever yoga class, early 1970s. By a western Swami, who was not part of an ashram corporation. He called it Agni Sara Kriya. Now, Satyananda devotees might well proclaim that I have the technique for the name, wrong. But, no. Stand, feet about shoulder width apart, hands on thighs, knees bent. Exhale, hold the breath out, push down hard onto your thighs as you lift your abdomen into the abdominal cavity which starts beneath your ribs. Then push your abs out and back in, fairly fast, several times. Then release, breathe in and out. This is a flying upward technique. Your abdominals fly upwards, then back to normal. Several times. All with the breath held out. Two to three times each morning, first thing after going to the loo, is enough. It pulls our abdominal and reproductive organs back into place. It did this for me. Because of it's dynamic affect on the navel area, it stimulates our pranic, or life-force, sheath. It comes under the umbrella of shat karmas which are the cleansing techniques of Hatha Yoga. What is our core ? 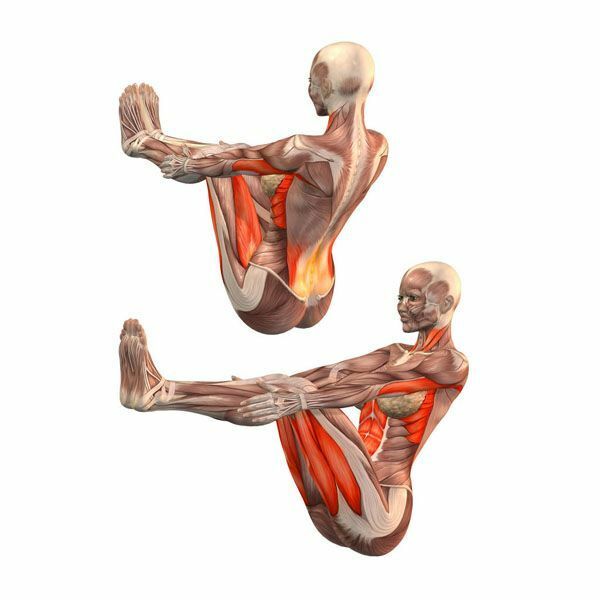 Our core refers to the abdominal muscles, pelvic floor, and some in our back, which hold in our abdominal organs and support our spine. What does core activation do, in modern yoga? by making us strong in our core, we become emotionally strong. This is untrue. I know many people, myself included, who are very emotionally strong and stable, yet do not have "abs". Plus I also know some people who have strong "abs" who are not emotionally strong. 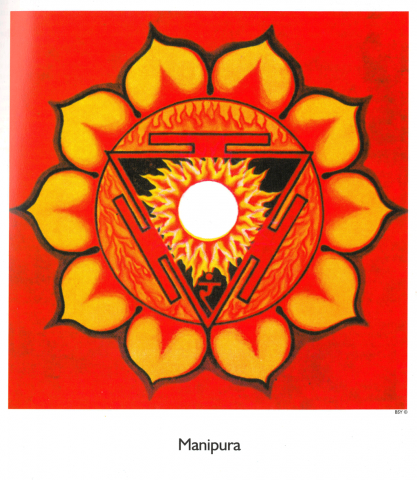 we can activate our 3rd chakra, Manipura chakra. I also do not agree with this, it is another ridiculous modern yoga supposition. In fact, I find this downright silly. gives us great abdominal muscles. Which of course is good, too. How do we do modern core activation? In western yoga terminology, particularly with modern vinyasa, the idea is to activate the core muscles with lifts and contractions in yoga practice, especially whilst holding a pose. This was popularised, as far as I know, by Shiva Rea, who had been a longtime Ashtanga yoga devotee, some years ago. Plus she was part of a group who combined Ashtanga, Desikacharya and Iyengar's teaching to create modern Vinyasa Yoga, and Power Yoga. Shiva has done a lot for yoga, and I have only heard good things about her. This gives amazing abdominal muscles. Wow factor. These two together "create contraction, stability, core strength, and heat". The heat, of course, being somewhat of a 'thing' in modern yoga, for purifying the body. Which is good. Another modern system which has also been around for a while, uses very dynamic and strong Vinyasa, has a Pilates "zip up" movement of the abdomen. This is a slight movement, and it can also create a modified bandha, or lock, tightening, of the pelvic floor. I learnt this some years ago for doing vinyasa. It was quite doable. And yet another method, which I learnt maybe 15 years ago, by an Iyengar and anatomy and physiology teacher (and I don't know if it's part of Iyengar yoga), is to draw your side abdominals in towards your navel, and also up the centre line of your body, plus draw your hip bones in towards each other. How do we use core activation in yoga? I am talking about strong abdominals here, with core activation. Before all of the above became popular, I would have said that core activation is something else, so I'll go into this in another post. These contractions, lifts, zip-ups, are generally used in dynamic yoga, which we could call Power Yoga, or Vinyasa. The two are actually a bit different. So, it's moving yoga, based on the Ashtanga Sun Salutation moves, with warriors, triangles, and other vigorous moves, plus some floor poses at the end. I do think that the zip-up method of core activation is easiest to maintain for a vinyasa type class. What you can do, instead, is to do core activation in various poses, whilst you are holding them. Such as mountain/down dog, warriors, triangles, plank variations, standing balance poses, boat pose (as in a seated V shape). This will amplify the effects of the pose, and with any pose which can stress the abdomen. To start with, just do 1 pose at a time, until you or your students are used to it. After all, with warrior 2, for example, by the time you've got all the minute aspects sorted, to then add the bits and pieces for core activation, is overkill. It is always better for your students if you can teach in increments, whether it's on the physical or on the spiritual level, so that they are always progressing. Start with a wee zip-up as though pulling on tight jeans. Over time, as they are used to it, add the pelvic lift. If you are going to be adding it. Whilst a pose is being held. I wouldn't do this myself, and there is a reason why. To hold too much attention to the pelvic floor quivering away, or tightening, throughout the class, is going to create a sexuality that is not what yoga is about. Drawing the abdominals in and up, plus the hip bones towards each other, is easy and excellent for floor abdominal work. Or, if you would like to use Shiva Rea's core activation: start with dropping the tailbone, which is brilliant, as it also relaxes the lower back. An absolute must in warriors if anyone has a dodgy back. The next step to add, over time, is to draw the navel to the spine on the exhale. Then learn how to maintain that. The final step of course being the slight drawing in of the lower ribs. Again, if these steps are done only whilst holding specific poses, it's all doable. The thing is, what is a specific pose for? Going back to warriors and planks, they are about strengthening. So to add core activation in these poses fits in with what the pose is about. And even helps to hold the pose. So that's great. But a bridge pose? Many people would say that it's for strength too, and, yes it is, but it's not only what the bridge is about. It's also for deep breathing, and especially for our glands. In particular, the thyroid, but also our reproductive system, pancreas, abdominal organs and solar plexus. So, again this is just me, I would not do core activation here. I would not do anything to minimise the amazing work of this pose. So, it helps to have some asana intelligence if you are going to incorporate modern aspects which have been mainstreamed, some over 20 years ago. I don't think that you need to add them, but if you do, be aware of what you are doing and why. Choose one method and stick with it. Doing one type of core activation in some poses, and another type in other poses... really? That's messy. Create a consistency of what and how you teach in your classes. When I taught my first ever class, a long time ago a furor erupted behind my back, and my teacher rang me to tell me what was happening and who was behind it. Amazing. I was flabbergasted, and horrified. A charismatic woman who had been grooming me to be her pupil was behind it. Apparently, the largest yoga organisation of the time (early 1970s), had not been asked for their approval, and it seemed that, well, they didn't want me there. And really, who did I think I was? This was not the last bit of skullduggery in the yoga scene, for me, here in Auckland, New Zealand. Mean things just kept happening, and I just kept going, doing my bit, until I just didn't want to handle it anymore. I belonged to the "authority" for the tutors in the gym scene, so there had to be gym training each year for this, plus a tidy fee. Just for teaching yoga in gyms. Plus first aid training, and I did feel that first aid was good. I still do. I had decided to stop teaching in gyms, so I was quite happy (after much worrying, to be honest), to let the gym training go. Then the illustrious Yoga Alliance. I was one of it's first members in New Zealand. I wrote three yoga teacher training courses which received acclaim, at the time, from Yoga Alliance. The problem for me with them became when I wanted to renew my annual subscription, and pay even more money, and of course you do have to do upskilling, only with people of whom they approve. Guess what? I would have had to go to upskill with teachers whom I had trained, or sign up and become a pupil on someone else's teacher training course. All people with less experience and knowledge than myself. This was beyond ridiculous. And not only pay for the annual subscription but fork out lots of money. So, I dropped this, too. I might add that someone else took all the credit for the courses which I had written. Non-stealing is one of the basic foundations of yoga, so this was extremely unyogic. I also had a teacher training certificate with the large international yoga organisation which I had been involved with for many years of my life. Well, the main Ashram in Australia has folded, where the teaching was being done, due to being exposed with very bad skullduggery, and a decree came at one stage from India, that the teacher certificates from the Australian ashram, were no longer valid. More non-stealing should have been observed here regarding money and ethics, because those darn courses cost people a few thousand dollars. So, in a heartbeat, I dropped these three organisational ties. This was a few years ago. But, there were other reasons. and it now seems that I was not alone in my disquiet with the entire yoga scene. But, at the time I did think that I was the only person who was not liking what they were seeing. (silly me) And, all of these other reasons, they are still continuing. These reasons are all to do with fame and fortune. Which is not what spirituality is about. The most spiritual person whom I know, is also the most unselfish, and has the least money. And one of the least known people. This person leaves the yoga people for dead, so to speak. How could this be? Well there is a secret, which many will know, and the charisma-fame-fortune people, will not. What is it? It completely has to do with oneself. When one "brands" oneself, promotes oneself as The Expert without all of the necessary knowledge in whatever field that they are 'being" expert in, is that sooner or later, people start realising that person is not whom they said that they were. It's really easy to talk authoritatively. But it doesn't always signify real knowledge. A really easy example, is being a chakra "authority" without having had real chakra experience. Or promoting The Party Line on various things, so to speak. Or, doing a seminar once then rushing off to use the words of the seminar, as your own. Some of my "don't get me started" issues. Not a good look. People really don't like this. Some get conned, but many don't. When we are spouting "knowledge" and "ethics" to all and sundry, we are not allowing others to grow. Strangely, nor does the person who is loudly proclaiming "truths". So, to put it in a more spiritual connotation: we are taking away the mana, the personal power of others, by not allowing them to grow and blossom within their inner power. By not allowing them to find their own way, make their own mistakes, have their own epiphanies, learn and practice their own truths. 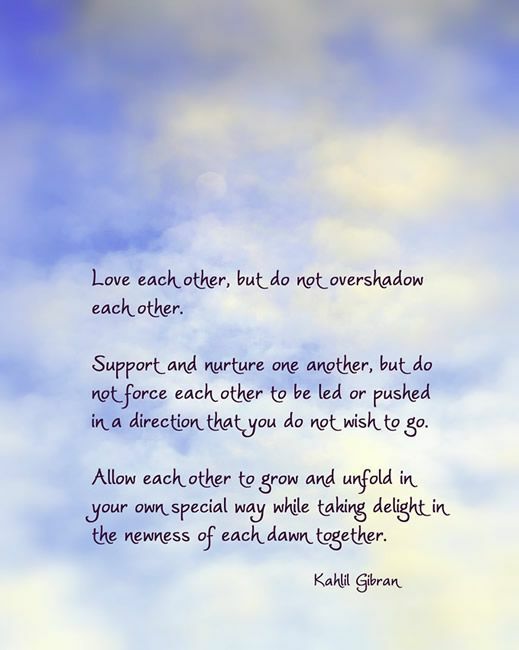 And, when we impose upon others' growth, we are making them feel less of a person than they actually are. The first yoga thing to practice is non-violence, and in this instance, it is most certainly not being practiced. We are, after all, only yoga teachers, whether or not we have a title, such as Swami. We are not the spiritual police. When we impede on others' mana, on others' growth, we may appear to have increased mana, we may even believe that we have it. But, this is not personal power. It is very delusional. Personal power has a lot to do with cause and effect, with being able to be an honest and decent person. And it grows, within. With each spiritual growth, and this too, is internal, our mana increases. Our spiritual power increases. In increments, as we also evolve in increments. And our own mana, our own personal power, it becomes stifled, when we are stifled. This truly is something that I have seen over and over. And when I too, was towing The Party Line: my own mana, it just was so dulled. To be honest, it just kept receding into the ether. There is an aspect of mana which we get from being Someone within a yoga system. And there are many yoga systems out there! But this is not the mana which comes from within. And I do know, from personal experience, that this external mana, this power, this energy, can disappear in an instant! What else can we do instead? Ah.... one of the secrets of spirituality. All spiritual systems have guidelines for living a better, more spiritual life based on ethics. We can be ethical, and follow the guidelines set out, handed down through time. And, even better, we can ignore the latest "take" on these ethics and work out our own understandings of them. What we think, feel, know and understand of these guideline/ethics will change if we are sincere. And, as they change, we deepen in our understandings. A really good teacher will want the best for anyone whom they are teaching. They will want them to evolve, in their own way, in their own time. Which is what is supposed to happen in life, anyway.